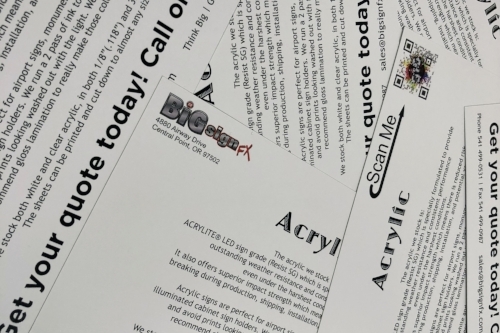 We offer a large variety of products and services, because we are able to print on virtually any surface and we stock many different industry trusted materials. We provide pretty much all types of large format digital printing that a business would need, all offered at wholesale prices. 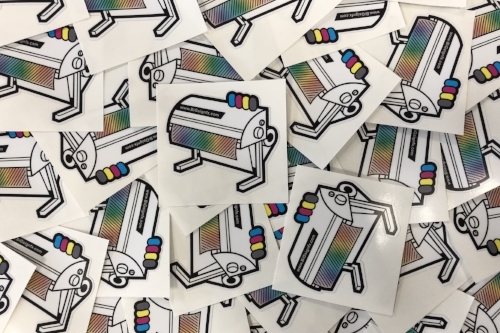 Our state of the art printers are able to provide high quality large digital prints, and because everything is done in house you’ll be able to get everything you need at the best prices. If you need a certain service/material that we don't seem to provide or you’re unable to find on our website, just let us know what it is! It could be that we do it, it’s just not on our website or maybe we call it something that you don’t recognize. If we don’t provide it as a standard stocked material or process, don’t worry, we’re more than happy to special order it for you!! If you would like to see jobs we've printed you can check out our gallery!